Win prizes for babies and children with free baby sweepstakes & contests. ••• Image © Diane Macdonald / Getty Images. 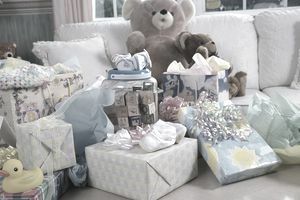 Win baby stuff for free with the baby sweepstakes on this list. Here you'll find current, legitimate sweepstakes with prizes for babies and children. Enter to win free baby formula, nursery or children's bedroom makeovers, free diapers, maternity sweepstakes, free baby products, and much more. Enter for your chance to win one of six Burlington gift cards worth $500 each.